Findings by consultancy group SuperData Research suggests the current market is oversaturated with gaming devices. 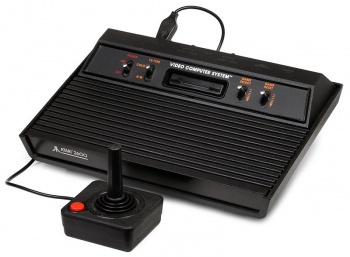 The video game industry crash of the 1980s is still something that gets talked about a lot, even if many gamers today were only peripherally aware of it when it happened. The abridged version is that the market overflowed with games and consoles to the point where people lost interest and stopped buying them, which makes it kind of like a larger scale version of the Guitar Hero and Rock Band music game fad a few years back. Well, SuperData Research, a New York-based research consultancy, warns that such a situation might happen to the entire industry again in the near future. "Industry veterans will remember the crash of 1983, when the games market was saturated with hardware devices," reads an excerpt from the report. "Today, the industry runs a similar risk, as [with] a higher-than-ever console installed base, consumers may be resistant to adding more hardware to their living rooms." According to the report, 79 of gamers already own a console, with 2.6 consoles being the average number owned. While the report noted that there are now more people who identify as gamers than ever before, many of them play on multi-purpose devices such as computers or mobile phones. Because of this, there isn't necessarily a demand for more consoles. The study provides some interesting numbers to back up this claim. In 2008, 42 percent of gamers played primarily on a console, 37 percent primarily on a PC and 5 percent did most of their gaming on mobile devices. A survey this past March, though, shows that now 51 percent of gamers play primarily on a PC, 30 percent on consoles and 13 percent on mobile devices. What do you think of SuperData Research's findings? While preorder sales for the Xbox One and PlayStation 4 are through the roof, will there be enough long-term interest in a market where they need to contend more heavily with PCs, mobile gaming and browser-based games?